What do you store on a USB memory stick? Since their inception, the USB memory stick (also called "thumb drive", "pen drive" and "flash drive") have steadily increased in storage capacity, usability and popularity, with the latest models holding 512 gigs and 1 Terabyte+ planned for the very near future. These types of drives have quickly become the industry standard, allowing users to easily and quickly store large files, transfer video, music and photos easily between friends and/or multiple PCs, even backing up entire systems. What happens if this data becomes corrupted? While at one time these USB memory sticks may have been a novelty, their low cost, reliability and ease of use have caused many to use them for long term storage. With this becoming more prevalent, it's inevitable that at some point, data will become corrupted, that doesn't mean your data has vanished into cyber space; in most instances it can be recovered by a specialist, that's where we come in. Our company specializes in recovering data, no matter where or how it's stored. Before you scream in frustration, thinking your treasured data is lost or hopelessly corrupted, give us a call and let us help. There is no charge for the call, and we're available from early morning till late night. We've built our company and reputation around one central theme, helping our customers recover their data in a cost effective, friendly and courteous manner. You won't be treated as a number on a balance sheet, much more like a family friend helping you out of a tough spot. We understand these are real issues and related stress may be rearing its ugly head. Our recovery team is experienced, uses 'cutting edge' software and performs repairs in an ISO certified clean room. We take the job of USB memory stick recovery seriously, while also striving to keep you informed at every step of the process. Why USB memory sticks fail? A USB memory stick (especially if a major brand) is manufactured to high industry standards, however unlike a physical drive that resides inside your machine, a USB memory stick may be carried in your pocket, placed casually on your desk, or thrown across a room to be caught by a friend. That's what makes them great, that's also what makes them vulnerable to the possibility of damage and corrupted data. Should this happen, it's possible your stick may no longer operate or that your data may not be available. This where we can help, and while we don't want to toss the terms..
..around carelessly, they are nonetheless true, we can help and we'd be happy to discuss any problem you may be experiencing, this done without cost or obligation or your part. Simply give us a call or fill out our form and we'll be in touch. It's your data (and we'll do our best to recover it) and it's our reputation, taken together we'll do everything possible to solve any USB memory stick recovery issue. No job is too large, no memory stick too small, whether your USB memory stick is vintage, holding only a few megs, or among the latest high capacity sticks, let us be your go to data recovery team. You will be informed on any updates either by email or personal phone call. 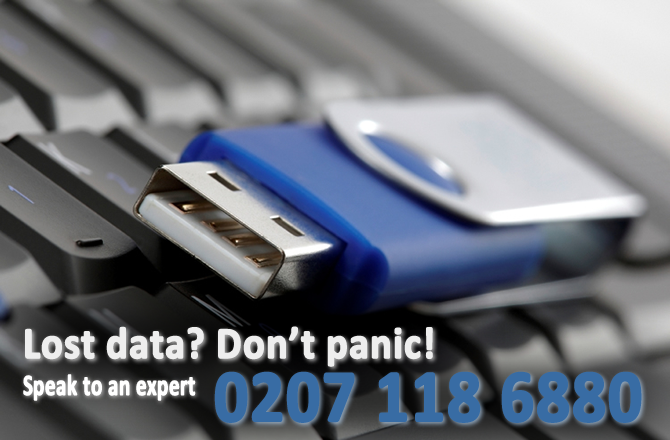 Also you can call us anytime at our London memory stick recovery support number 0207 118 6880, a data recovery specialist will be happy to answer all your questions free of charge.